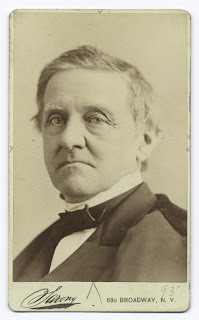 The New York Public Library (NYPL) is currently digitizing the papers of Samuel J. Tilden, which will be accessible via the LibraryвЂ™s web site early in 2013. In conjunction with making this important archival resource available online, NYPL is offering research fellowships of up to $5,000 to support research projects related to TildenвЂ™s circle of activity and the political culture in New York and the United States during the 19th century. Fellows will spend at least one month in residence in the Manuscripts and Archives Division at the New York Public Library, consulting the Tilden papers and other archives relevant to their research goals. Fellows will also be expected to produce an essay of 3,000-5,000 words for publication on the LibraryвЂ™s website. These essays will complement and provide context for the Tilden papers online. Thousands of historical documents at The New York Public Library – including material handwritten by George Washington and Thomas Jefferson and papers from authors such as Mark Twain – will soon be accessible to the public online. The project, which began in January and will continue through 2014, will digitize documents from the Thomas Addis Emmet Collection, located within the Manuscripts and Archives Division, and almost all the papers of several major American authors in the Henry W. and Albert A. Berg Collection of English and American Literature at The New York Public Library. Technicians at the New York Public Library have already begun digitizing the Thomas Addis Emmet Collection, which documents the founding and early years of the United States – the move towards independence, the Revolutionary War, and the establishment of the federal government. The approximately 11,000 manuscripts in the collection include letters and documents by nearly every patriot and statesman who distinguished himself during this period American history. Their letters provide insight into important historic milestones, such as the Stamp Act Congress, the First and Second Continental Congress, and the Annapolis Convention- trace the genesis of the Declaration of Independence and the Articles of Confederation- and chronicle the successes and struggles of the first Federal Administration. The correspondence and letterbooks of generals and other officers detail their decisions, actions, and relationships during the Revolutionary War. Highlights of the Emmet Collection include a copy of the Declaration of Independence in Jefferson’s hand, an engrossed copy of the Bill of Rights, and manuscript minutes of the Annapolis Convention. The collection has been a vital and repeatedly consulted resource for American historians since the Library acquired it in 1896. Numerous poems by Walt Whitman and over 300 of his letters, most of them to his mother and to Union soldiers during the Civil War. The total cost of the project including both collections is $1 million- a gift of $500,000 from The Polonsky Foundation is expected to be matched by similar donations. 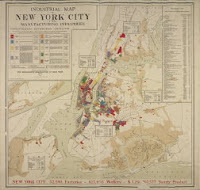 There is a new online tool developed by the New York Public Library to help people find their New York City relatives in the 1940 census, which was released April 2. NARA released the census online for the first time, but transcribing and indexing the data is a slow process,that could take as long as six to eight months. 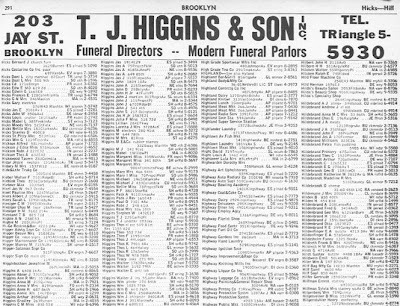 The Library’s online tool connects people to 1940 New York City phonebooks, which they digitized for the first time, where you can look anyone up by last name to find their address. Once you have the address, just enter it into a search field and up pops the census enumeration district number. Clicking the number takes you to the National Archives’website, where you can find the correct section of the census. It’s a great research tool, but it’s also meant to grow into something more. When you find an address, the tool pins it to both a 1940 map and a contemporary map, so you can see how the area has changed (buildings torn down, freeways put up, etc). You’re then invited to leave a note attached to the pin – memories, info about who lived there, what the neighborhood was like, questions – and so forth. As people use the site, we’ll build a cultural map of New York in 1940 that will assist both professional historians and laypeople alike. Users have already found New Yorkers including Mayor John Lindsay, Jackie Kennedy, and Jane Jacobs. Check out the Library’s new tool right here. A New York Public Library exhibit will look at the history of New York City’s shoreline. The exhibit, entitled Mapping New York’s Shoreline, 1609-2009, will run until June 26, 2010 at the D. Samuel and Jeane H. Gottesman Exhibition Hall (First Floor) of the Stephen A. Schwarzman Building, 5th Avenue and 42nd Street. September 2009 marks 400 years since Henry Hudson sailed into New York Harbor and up the Hudson River, almost to what is now Albany, performing detailed reconnaissance of the Hudson Valley region. Other explorers passed by the outwardly hidden harbor, but did not linger long enough to fully realize the commercial, nautical, strategic, or colonial value of the region. Mapping New York’s Shoreline celebrates the Dutch accomplishments in the New York City region, especially along the waterways forming its urban watershed, from the Connecticut River and Long Island Sound to the North (or Hudson) River and the South (or Delaware) River. Inspired by The New York Public Library’s collection of Dutch, English, and early American mapping of the Atlantic Coastal regions, this exhibition exemplifies the best early and growing knowledge of the unknown shores along our neighboring rivers, bays, sounds, and harbors. From the earliest mapping reflecting Verazzano’s brief visit to gloriously decorative Dutch charting of the Atlantic and New Netherland, illustrating their knowledge of the trading opportunity Hudson’s exploration revealed, the antiquarian maps tell the story from a centuries-old perspective. We are brought up to date with maps and text exploring growing environmental concern for this harbor, and the river that continuously enriches it. From paper maps to vapor maps, those created with computer technology, the story of New York Harbor in its 400th year is told. 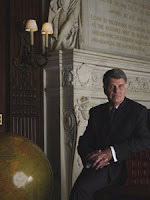 The New York Public Library is congratulating their colleague David S. Ferriero, Andrew W. Mellon Director of the New York Public Libraries, for his selection by President Obama as the next Archivist of the United States, National Archives and Records Administration. Mr. Ferriero, 63, served previously as the Rita DiGiallonardo Holloway University Librarian and Vice Provost for Library Affairs at Duke University. 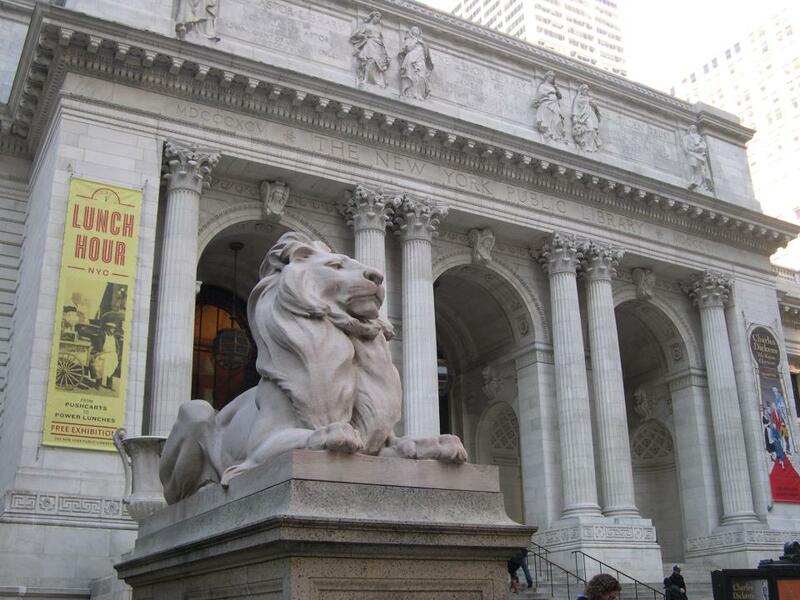 The New York Public Library was created in 1895 with the consolidation of the private libraries of John Jacob Astor and James Lenox with the Samuel Jones Tilden Trust. The Library provides free and open access to its physical and electronic collections and information, as well as to its services. Its renowned research collections are located in the Stephen A. Schwarzman Building at Fifth Avenue and 42nd Street- The New York Public Library for the Performing Arts at Lincoln Center- the Schomburg Center for Research in Black Culture in Harlem- and the Science, Industry and Business Library at 34th Street and Madison Avenue. Eighty-seven branch libraries provide access to circulating collections and a wide range of other services in neighborhoods throughout the Bronx, Manhattan, and Staten Island. Research and circulating collections combined total more than 50 million items. In addition, each year the Library presents thousands of exhibitions and public programs, which include classes in technology, literacy, and English for speakers of other languages. The New York Public Library serves more than 17 million patrons who come through its doors annually- the Library’s website, www.nypl.org, receives 25 million visits annually from users in more than 200 countries. June 28, 2009 will mark the 40th anniversary of the historic Stonewall Riots that occurred in Greenwich Village, New York. Many cite the riots as the birth of the Gay Rights Movement in the United States. From June 1969 until June 1970, gays and lesbians in New York City radicalized in an unprecedented way founding several activist groups that created a new vision for Gay Liberation. The exhibition 1969: The Year of Gay Liberation charts the emergence and evolution of this new vision from the Stonewall Riots to the first LGBT (Lesbian, Gay, Bisexual and Transgender) pride march on Christopher Street in June 1970. All of the materials for this exhibition were drawn from the LGBT collection in the Manuscripts and Archives Division of The New York Public Library. 1969: The Year of Gay Liberation will be on display at The New York Public Library’s Stephen A. Schwarzman Building at Fifth Avenue and 42nd Street from June 1, 2009 to June 30, 2009. Additionally three related public events will be presented in June. Admission to the exhibition and programs is free. The exhibition features original photographs, pamphlets, police reports, newspapers, and letters. Included are materials relating to activist groups formed between 1969-1970 such as Gay Liberation Front, the Radicalesbians, Gay Activists Alliance, and Street Transvestites Action Revolutionaries. Other materials that can be found in the exhibition include a letter to Governor Nelson A. Rockefeller by Jim Owles, President of the Gay Activists Alliance, asking to meet to discuss Gay rights. Many of the photographs featured were taken by activist Diana Davies who captures events such as a march by the Gay Liberation Front in Times Square and protests by gay NYU students for equal rights. The exhibition shows that while each activist group fought for Gay Rights differently, with some more radical than others, they all shared the unified goal of equal treatment in society. The LGBT collection at The New York Public Library continues to be one of the largest and most thorough in the country. The collections include the archives of pioneering LGBT activists, such as Morty Manford, and Barbara Gittings and Kay Tobin Lahusen- the papers of scholars, such as Martin Duberman, Jonathan Ned Katz, and Karla Jay- organizational archives of pivotal civil rights groups, such as the Mattachine Society of New York and Gay Activist Alliance- and the papers of LGBT writers, such as W.H. Auden, Virginia Woolf, and Joseph Beam. The Library’s collections also include major archives in the history of the AIDS crisis, extensive holdings in the history of LGBT theatre, and the Black Gay and Lesbian archive. A workshop on how to do research on LGBT history using the NYPL’s resources. Historian David Carter, author of Stonewall, will discuss myths and facts pertaining to the incident. Surviving members of Gay Liberation Front will reunite to reminisce on their experiences in the movement and its historical purposes. Photo: Diana Davies. 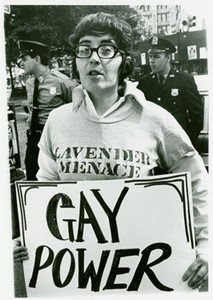 “Ida,” member of the Gay Liberation Front and the Lavender Menace, 1970. Hitler’s occupation of France presented writers with a difficult, often dangerous dilemma: keep silent, collaborate, or resist the Germans and their Vichy allies. A new exhibition at The New York Public Library explores how Sartre, Gide, Cocteau and dozens of other public intellectuals responded to Nazi rule. Personal correspondence, photographs, manuscripts, books and posters &#8212- most displayed for the first time in the United States &#8212- illustrate the contrasting, often complex response by writers to the country’s defeat and the Vichy regime. Between Collaboration and Resistance: French Literary Life Under Nazi Occupation is on view at the Library’s D. Samuel and Jeane H. Gottesman Exhibition Hall from April 3 to July 25, 2009. Admission is free. The exhibition is accompanied by a companion volume presenting more than 650 archival documents, an April 3 symposium featuring leading French and American scholars, and screenings of rarely shown French films created during the Nazi period. The period of the Vichy regime, which lasted from 1940 to 1944, was a tumultous time for French literature. A number of the best-loved writers of the twentieth century produced some of their finest works, such as Sartre’s No Exit, and the intellectual foment helped inspire more than two hundred films and numerous literary and artistic works, many of them clandestine. The exhibition features original copies of illegal underground publications by resisters such as Mauriac, Camus and Aragon, along with the writings of Nazi-favored authors like Celine and Drieu La Rochelle and brilliant efforts by Sartre and other resisters to circumvent the censors. Unlike other defeated European countries, France struggled under two dictatorships: the Nazis and their Vichy collaborators. The exhibition explores the deep divisions between left and right, highlighting a perhaps surprising amount of sympathy for the Nazis and the homegrown fascism of Vichy. Original letters and documents, drawn from the Institut Memoires de l’edition contemporaine (IMEC) and The New York Public Library’s collections, also show the exile experience of Jewish intellectuals such as Hannah Arendt, who escaped to America and artist Otto Freundlich, who died in the Holocaust. One of the most remarkable items is the manuscript of Irene Nemirovsky’s Suite francaise, which became a recent worldwide bestseller after its discovery by her daughter half a century after the writer’s death at Auschwitz. This exhibition was conceived by IMEC director Olivier Corpet, who presented it with curator Claire Paulhan at Caen in 2008. It has been adapted and reshaped for an American audience by Dr. Paxton. Objects are drawn largely from IMEC, supplemented by materials from The New York Public Library, the Memorial de Caen, and other private and public collections. The exhibition opens in the shadow of World War I, with the depiction of a large military cemetery reminding viewers that 1.3 million Frenchmen were killed just two decades before. It chronicles the political instability of 1930s France, with a weak Third Republic, economic turmoil, and the rise of Hitler just over the border causing much agitation between left and right. The Vichy regime is depicted as an enthusiastic enforcer of fascism in France, rather than simply a puppet to Hitler. The Germans were able to save resources by occupying only part of the country, allowing their ideological ally to rule the rest. Tales of crossing the Demarcation Line, faced with dangers from crooked “passers” and German patrols, are a ubiquitous subject in diaries and letters of the Occupation period, and in later fiction about it. Some of the exhibition’s most fascinating materials deal with how resisters were able to get information across the line and past the censors. In order to write loved ones, authorities distributed pre-written postcards with phrases (such as “I am in good health”) that could be checked off. A 1940 postcard shows Louis Aragon scribbled some extra information to the wife of Jean Paulhan, including the coded phrase “Cousin Mercadier can go to Pierre’s house.” This may have referred to the Aragons’ plan to stay with the poet Pierre Emmanuel in Dieulefit (Drome). The exhibition explores the violent fate suffered by many writers during this period. The price for literary resistance during the Occupation was imprisonment or death. And bitterness ran high against those who took Vichy’s side: after the war, four collaborationist writers were shot, and dozens were imprisoned and blacklisted. Others, such as Celine, fled France. For those who joined the Resistance, there were more than 1,000 homemade, mimeographed publications, often printed secretly in the middle of the night by printers who risked &#8212- and sometimes lost &#8212- their lives. Included are copies of such clandestine publications as Combat and Les Lettres francaises, to which Camus and Sartre, respectively, contributed.Sartre’s activities during the Vichy period serve as an interesting example of the complex response by writers to difficult politics: his underground writings, a newspaper clipping depicting him sitting at Cafe de Flore, press commentary and correspondence help to illustrate how the writer-philosopher navigated space for himself both below ground and above, where he put on two plays. There were also the “Little Magazines,” published legally in the Unoccupied Zone, which pushed the limits of censorship. One of the most famous,Max-Pol Fouchet’s Fontaine, published a stirring poem by Paul Eluard in 1942, entitled “Liberty,” which showed the wartime evolution of literary style away from aesthetic artifice and toward simple, straightforward poetry. A companion film series featuresfilms produced in France under the Nazi Occupation, including Marcel Carne’s masterpiece Les Enfants du Paradis [Children of Paradise] and rarely screened works by such directors as Henri-Georges Clouzot, Jacques Becker, and Marcel L’Herbier. Films will be presented at The New York Public Library for the Performing Arts every Tuesday in June at 2:30 p.m.
n and Resistance: French Literary Life Under Nazi Occupation will be on view from April 3, 2009, through July 25, 2009 in the D. Samuel and Jeane H. Gottesman Exhibition Hall (First Floor), of the Stephen A. Schwarzman Building at Fifth Avenue and 42nd Street in Manhattan. Exhibition hours are Monday, 11 a.m. to 6 p.m.- Tuesday and Wednesday, 11 a.m. to 7:30 p.m.- Thursday through Saturday, 11 a.m. to 6 p.m.- Sunday through May 17, 1 p.m. to 5 p.m. Closed Sundays Memorial Day through Labor Day and all federal holidays. Closed April 12, May 23-25, July 3-5. Admission is free. For more information, call 917.ask.nypl or visit www.nypl.org.